Designed to be a must see attraction with a full mix of family fun, entertainment, shopping, dining and gaming, the Boardwalk Casino and Entertainment World has added a whole new dimension to leisure in the city. Located in Summerstrand, the complex is set around a series of man-made lakes and beautiful gardens lit by 40 000 Tivoli lights. There are numerous entertainment venues such as the elegant Boardwalk Conference Centre; the Supersport Arena, which features a regular line-up of comedy and music acts, and the Boardwalk Amphitheatre. Apart from these attractions, the casino has 700 slot machines and 20 gaming tables, including blackjack and roulette. Furthermore, the Boardwalk has also incorporated a selection of international restaurants, specialist shops, a Craft Workshop as well as Starz Cinema with five screens. In addition, an indoors modern video and games arcade offers a wide variety of machines from kiddie rides to simulators and 3-D games for the young at heart. The Boardwalk Casino complex also has plenty of shopping and restaurants on the premises, as well a cinema and a video arcade. 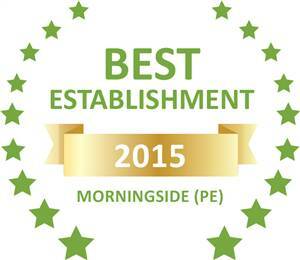 Based on reviews of establishments, BRO Homes and Villas has been voted Best Establishment in Morningside (PE) for 2015. Copyright www.brohomesandvillas.co.za - Port Elizabeth Accommodation | Mandela Bay Self Catering ~ All Rights Reserved.